Allison & Busby has acquired the 'delightful' debut novel by Isle of Wight-based Heather Cooper from agent Sarah Such at Sarah Such Literary Agency. Dunlop said: "When Sarah talked to me about this impressive author and her hugely accomplished debut, her enthusiasm was contagious. Our editorial and sales teams jumped at the chance to sign Heather and we are so looking forward to launching her book on the Isle of Wight in the spring." Cooper (pictured) said: "As a new writer, I am delighted that my first novel, Stealing Roses, is to be published by Allison & Busby. 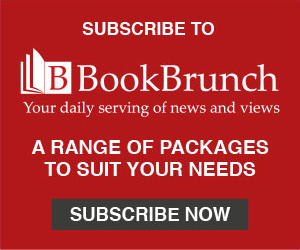 I am so enjoying working with Susie Dunlop and the rest of the great team, as well as with my literary agent, Sarah Such – it is a thrilling process. "They have shown great enthusiasm for the story of my free-spirited heroine Eveline Stanhope and her struggles against convention. I have always been a great admirer of writers such as Mrs Gaskell and George Eliot, and fascinated by the Victorian period generally, and I hope my novel will bring the remarkable heritage of the island to a wider audience." 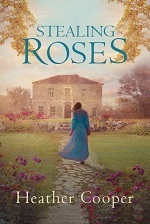 Such adds: "Stealing Roses is a wonderful historical romance that follows the impact on a young woman’s life of the coming of the railway to a small English seaside town. Eveline is an unforgettable and timeless heroine who one can’t help but love and root for. It’s very exciting that Allison & Busby will be publishing Stealing Roses on their impressive romantic fiction list, and that they have such great publication plans including a local launch on the Isle of Wight." Cooper read English at Durham University and then took a Diploma in Printing Studies, going on to work at Faber & Faber print buying as assistant to the jacket designer when Matthew Evans was md. Tasks included corresponding with writers such as PD James, Seamus Heaney and William Golding about their latest book covers. She later worked for the National Trust and latterly for the NHS in teaching, education and development. She has two grown-up children, and lives on the Isle of Wight with her partner. Stealing Roses will be published in hardback on 23 May.